Only 7 2.0T S models left in stock! Prices do not include tax, tag and title. While we make every effort to ensure the data listed here is correct, there may be instances where the prices, offers, options, or vehicle features may be listed incorrectly as we get data from multiple data sources. PLEASE MAKE SURE to confirm the details of this vehicle with the dealer to ensure its accuracy. Victor Brown is sales is a great guide as you explore the options that Volkswagen has to offer. He was knowledgeable, intelligent and honest with his opinions and with the purchasing process. I wouldn't hesitate to recommend him for all of your needs. I also enjoyed chatting with Mohammad Al-Tamimi in finance and found him to be much more personable and upfront than most finance guys I've met in the past. Even the managing partner Robert Fioretti came to personally apologize for an honest mistake that was made, and I respect him taking the time to do that. I had a few unforeseen issues come up during the course of my purchase that eventually led to me backing out, but I wouldn't hesitate to buy from here in the future. If I do, Victor is my go to guy! I drove 4 hours to get to Stone Mountain VW, and it was definitely worth the drive. This was my first time purchasing a vehicle, and they made the process simple and stress free. Everyone I encountered at the dealership was very professional and friendly. I would definitely recommend this dealership. I had a great experience. Volkswagen Stone mountain has two Amazing salesmen that worked with me by the names of Toney & Victor. They had the best customer service I have seen in a long time. I will definitely tell everyone I know about this Volkswagen location because of these two top of the line salesmen. Thank you Victor for putting me into my new 2019 Jetta! It is perfect for my commute, and I plan on returning to Stone Mountain VW when it’s time for my 3rd VW. I appreciated your kindness and pleasantries during the buying experience. Victor was very helpful. This was my first time purchasing a car and he made the process as easy as possible for me. He took into consideration all of my needs and helped me choose the right car for me and my family. Will buy again....... Excellent service!!!!! Great staff, and terrific pricing! My wife and I visited lots of car dealerships while searching for a new SUV over the past few weeks. Some were nice, but mostly we found that the salespeople were often nonchalant about selling, or didn't know their products, or weren't willing to do anything "extra" to make a sale. We had a totally opposite experience with our salesman, Victor, at Stone Mountain VW. He was very accommodating and friendly, and definitely willing to "go the extra mile" for us. I also really appreciated, Joseph, the Sales Manager. He actually worked to earn our business and made us feel like they were really anxious to have us as customers. Once we'd made our buying decision, I can't say enough good things about the Finance Manager, Kurt. A total pleasure to deal with and so very nice! All in all, it was an excellent experience all the way around. I highly recommend Stone Mountain Volkswagen. They are efficient with your time, knowledgeable in their inventory, and listen to what you are looking for. Prices are also the best in metro atlanta. Everyone was so nice! Victor was amazing and professional. Also a great teacher. If I was able to give him 10 stars I definitely would. Thanks! My family and I came in to look at a preowned vehicle for my daughter. Victor was a wonderful and informative resource for us all! Thank you so much for all your help! Easiest car buying ever.... Got exactly what I wanted, at a good price and actually had a pleasant experience without any haggling. Victor knew his stuff and Mohammad couldn't have made the process any easier. What started as an inquiry ended with the purchase of my 2019 Beetle! From the initial meeting to the delivery of my vehicle, Victor Brown was always professional, courteous, and ensured that this "experience " would be different. Victor made sure that I knew what each model offered. I had all the "bells and whistles" on my 2015 convertible beetle and didn't want anything less. The "experience " was exceptional and I'm very pleased with my purchase!! Just got our third Jetta from Stone Mountain VW. Victor Brown led the effort and Deni Hodzic closed the deal. Victor was instrumental in getting us the car we wanted within our budget. He and Deni were professional, courteous and very responsive to our requirements. This is just a VERY professional and well-run dealer with top rate staff. This is our third VW and we got each at Stone Mountain VW. They'll be first on our call list for the next one! Great Experience at this place. I am very thankful at everyone at this place, from the moment I arrived till the moment I drove out with my new car. Victor Brown was very professional and helpful. Also Mohammad Al-Tamimi was super nice and helpful. It was a very easy process and everyone involved in the process of helping me getting my car. Soo pleased with everything, start to end it was a good experience. I highly recommend this place. I will be coming back for future needs. Glad I found this place. Thank you. V.M. I thoroughly enjoyed my time here! Mr Brown was very welcoming and a joy to talk with. Great service all around. I'm more than happy with my car! The dealership was amazing. Initially, I was not intending on purchasing a new vehicle. 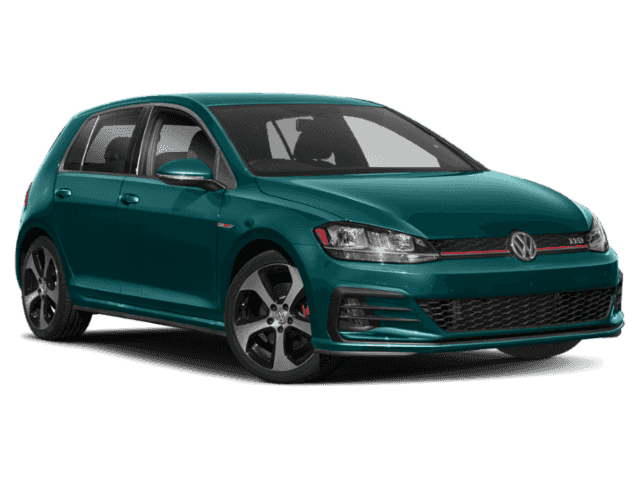 But the offer that was present (recent grad offer) made purchasing a new 2019 Volkswagen affordable, especially with the warranty and services that came along with it. The salesperson, Victor Brown, introduced the car, explained its features and design thoroughly during the test drive, and was able to set up the purchase as efficiently as possible, alongside Rich Kiker. Victor Brown was very knowledgeable about the Volkswagon products. He was very easy to deal with and presented us with all the available cars that would meet our needs. The finance manager was very efficient. I purchased a 2019 Volkswagen Passat from Stone Mountain, Georgia. The Sales Representative Victor Brown was extremely knowledgeable and patient; he worked to get me into a vehicle that would meet my needs and be affordable. The service was beyond what I anticipated....I would recommend Stone Mountain Volkswagen and Ask for Victor Brown. This is this least daunting auto purchase experience of my life. I felt the Sales (Victor Brown) and Finance (Rick Kiker and Mohammad Al-Tamimi) personnel genuinely did their best to make sure the deal is fair and equitable without creating unnecessary frustrations typically encountered by auto purchasers. Kudos to them. I immensely appreciate their professionalism and courtesies. I’ve also dealt with Deni Hodzic. Didn’t end up closing a deal with him because I was on the fence about making a purchase at the time I was dealing with him. But just want to mention that he was very professional with great follow up. I purchased a new car from this dealership. I had a pleasant experience, and was offered a great deal ! The customer service was impeccable, and I really appreciated the follow up calls I received to ensure I was satisfied with the vehicle. I would definitely recommend this dealership to family and friends. Great car. Great price. Great service. The team at Stone Mountain VW was pleasant, patient, and very helpful. Not at all pushy. Victor did a good job of learning what I really wanted and seemed committed to making sure I found myself in the right car for my actual needs and even those little emotional “needs” that we attach to what we drive. And even though the deal was already done and it was quite late at night, he spent additional time helping me understand and be comfortable with the novel technology in my new car. I got a great price (including great financing) on a wonderful car and came away feeling really positive about the entire buying experience. Purchasing a new car can be all types of energy. There is excitement, choices, finances, and everything in between. Victor helped me find the perfect SUV and he did it in a short amount of time. He was personable, yet had a genuine business savvy that help me trust what I needed to process. Victor did a great job. Top of the line professionalism and excellent customer service. Waiting to hear more about the leasing process. Can’t wait to get in my new car. Victor was very patient. He took the time to really understand our needs, and did everything in his power to get us into a vehicle...we left the dealership satisfied that our needs were adequately met. We would definitely recommend Victor to our friends & family who are in the market for an automobile!!! Definitely recommend this dealership. We dealt with Victor Brown. He was helpful; answered all questions we had,and was super friendly. He even showed us how to use the settings in the car before we left. Also the finance department was wonderful to deal with, fast and easy process. Was able to answer questions with ease. We came in looking for a specific used car we saw for sale on their website. Victor helped us out. We had our 9m old with us so he was very efficient and helped us out quickly, which was much appreciated. He was very knowledgeable and easy to talk with. We enjoyed working with him. We ended up buying the car and would absolutely recommend buying a car with Victor. Quick service replace light bulb and tire rotation .Talk with salesperson (Victor Brown) about buying in the near future. Would definitely buy again in near future. I had a great experience at this dealership! I’ve been to a lot of dealerships in the past, and this was my best experience yet! Victor was super helpful, friendly and knowledgeable! Made car buying a breeze. He worked with my budget and got me the exact car I was looking for! Highly recommend. I am pleased with service I received. I was able to bring my car in same day. Two warning lights came on. While having my vehicle service I inquired about the 2019 Beetle. Mr. Brown was very helpful, courteous and professional. I had the pleasure of shopping for a car at Stone Mountain Volkswagen and I must say my experience was awesome. From the moment I stepped through the door my salesman Victor Brown was attentive, professional, and knowledgeable. Both Victor and his sales manager worked with me to make sure I got the vehicle I wanted. I highly recommend not only this dealership but the product also. I purchased a Volkswagen Atlas and I'm loving it! I frequented this dealership for service and always had q pleasant experience. Today, I received spectacular service from Mr. Victor and drove away on a new more reliable vehicle. I would recommend Victor. He is helpful and is very knowledgeable about VW products. The dealership is nice but Victor Brown is the reason I would go back. Victor was very patient with me as I made my decision. Helped me and guided me to make the right decision. No pressure what so ever. We purchased a gorgeous 2018 VW Atlas at Stone Mountain VW and were extremely happy with the service and process. Victor was our sales rep and he was extremely thorough, respectful, and willing to work and listen to us throughout the deal. If there was a question or concern addressed that he wasn’t certain of, he promptly went to find the correct resolve/answer. We felt very little stress throughout the process. We enjoyed our experience and love our new car! The experience has been good, I came in with a specific car in mind. Victor helped me despite the car not being on site. I'm getting the help I need with any issue that has come up. I came to this dealership after someone hit and totaled my car. Being this is the first car I’ve bought myself, and with a certain price range in mind, I was extremely picky and had to test drive! Victor was patient and took the time to let my mother and I test drive. He answered every question we had and could not have been more genuine and kind throughout the process. I am extremely happy with my new buy and thankful for such a smooth process! Thank you, Victor! Victor made me forget the process was supposed to be stressful. Victor was prepared, he worked ahead of the process almost as if he knew my concerns before they came up which totally removed my anxiety. I rarely feel comfortable enough with a person in this type of arena to joke with them and be open about my life and situation, but Victor made me feel so welcome, comfortable, and confident. He was honest and forthcoming and seemed to want the best for me just as much as I did. When he climbed into the trunk of the car and asked me to shut it, I knew I’d found a special salesperson. I’d recommend Victor to anyone looking to buy. He made me forget the stress of such a big purchase. Victor was very patient and worked hard to get us the car we wanted. The service department worked hard to make the car perfect. Thank you! Great service and very knowledgeable. Worked with me on price to get a great deal. Highly recommended if you're looking for a new car. Very professional experience...i purchased a 2018 atlas. I dealt with victor brown who was very knowledgeable and professional. I got a good deal. Happy with the experience. I visited a couple of other dealers. Got a good deal and found victor to be very easy to deal with. Good experience and have recommended victor to others. Sales consultant Victor Brown was excellent. He was very informative and patient throughout the entire experience. He answered all questions and concerns during the process. Just wanted to do a quick review on my experience at Stone Mtn VW. We came here from Nashville because the prices are better and it was easy working with Victor Brown. Everything was virtually done via telephone/email and when we got there, we were done signing papers within an hour. Our car was ready to go. Mohammed and Victor worked out a deal when it seemed impossible and we appreciate it a great deal. Thank y’all again!! Jean is very helpful and full of passionate. He helped me a lot during the whole process and I believe I got a great deal. Very happy and highly recommend. We just bought a 2019 VW Atlas from Deni and Carlos. They were professionals and polite. We enjoyed the experience there. They did what they said, above and beyond! I personally disliked dealerships in general, but stone mountain VW have a superb service. I highly recommend them. This dealership is very genuine.They make you feel at ease with the stressful task of buying or servicing a vehicle, and they work with you providing many combinations of options to get what you need done at a fair price and acceptable timeframe. Irnes and Carlos were AWESOME. They helped us find the right vehicle and closed the deal with no pressure at all. Would highly recommend to anyone! After being subjected to the stereotypical car dealer routines elsewhere in ATL I found myself here from a car they advertised online. True to their word... the price WAS the price.... no bogus unqualified piled on discounts to get me in the door. I ended up with a loaded better car than anywhere else at prices lower than any other dealer and the lowest interest rate available.. What’s not to love about that?? Carlos Miranda was excellent! Knowledgeable, helpful and no pressure. From greeting to delivery I was out in less than 2 hours with my new car. Don’t go anywhere else. Start and finish here! First rate experience and I am demanding and tough to please. We really appreciate the assistance from Carlos Miranda and the sales manager. Kudos also to the members of the service department. We were able to purchase one car and have the other serviced on the same day. My family and I really appreciate all the assistance from Carlos and his sales manager in helping us get into the car we really loved! Carlos did more then a great job helping me with my purchase it was the best experience ever 100% stress free very helpful and professional. I highly recommend this dealership and highly recommend carlos. If i can give more then 5 stars I will. Carlos made this experience as stress free as possible. I anticipated a lot of hoops to jump but this was easy. I also appreciated the Starbucks coffee. I would definitely go back. My first contact with Stone Mountain VW was through the internet. Bought the car 2 days later. Carlos was great! I feel like I paid a fair price for my 2019 Jetta. Sales and finance people are outstanding! Very people oriented environment. Will recommend this dealership to everyone I know. Don't hesitate to come here when you need a car. This dealership made buying a car a pleasure. They delivered what they said they would. Carlos Miranda is a wonderful salesperson. He was both professional and personable. Although, I spent less time with Mohammed Al Tamimi it was very clear he was very knowledgeable. I feel that Stone Mountain VW bothers to search for people who take their business seriously and it shows. The entire transaction was smoothe. My experience was very smooth. I had a specific car in mind, and they weren’t pushy about buying a newer, more expensive vehicle. The entire team, from the initial returned call to the financial manager, was very considerate and helpful, willing to answer any questions I had about the process, car, and anything else. I whole heartedly recommend them! I went to this specific car dealership because it had the year, make and model of the car that I wanted upon entering I was greeted by Carlos who was absolutely amazing. He went above and beyond to get me this car. Then I was greeted by Kurt in finance am absolute delight. If it's for you it's for. Go and get yours like I got mine. My experience at Stone Mountain Volkswagen was a great one. From the moment I step out of my brothers vehicle I was greeted and treated like a family member. Being my first encounter with this dealership I got to say hands down they are one of the best. The chemistry of the information and transaction was a if we had known each other for a very long time. Very knowledgeable and always working in the best interest of the customer. The team at Stone Mountain was excellent from start to finish. I’m thrilled with my purchase and would recommend them without hesitation. Thank you! As a young single woman it can be very intimidating to buy a car alone and it’s easy to feel like salespeople are playing games with you - not at Stone Mountain VW! They are very fair, and did not try to take advantage of the fact that I’m young and naive. They are pleasant and helpful throughout the process. Carlos and Kurt in particular were excellent to work with! Stone Mountain Volkswagen was the perfect place for me to get my first car. Carlos was a big help. When I told him what I wanted in a car, he new exactly where to find it and provided excellent customer service. I returned a VW Passat after my lease expired, with the intention of getting another VW at the same Dealership. I will not mention them because they rather disappointed me. We then looked at several other vehicles at various Auto Dealerships all of them going round in circles to sell us a car. Deciding on a VW, we went to the place we should have gone in the first place, Stone Mountain VW. Carlos Miranda managed to give us a deal we could live with, going far beyond our expectations, particularly in view of our previous experience when we returned the Passat. He was patient, courteous and enjoyable to work with. Car buying is not one of my favorite things to do, but Stone Mountain VW and in particular Carlos and the finance team has restored my faith in the automobile business, I would not hesitate in recommending these guys if VW is in your future as a means of transport. Carlos Miranda is an awesome salesman, He was very patient and help with my car buying experience. I would highly recommend my friend and family to him. Also I forgot to add The Finance guy Mohammad Al Tamimi world class gentlemen he really took the time to help me get the best possible deal..Thanks Guys! This is an amazing dealership. We travelled from Florida twice within 2 moths to buy two great Volkswagens. They had the best deals, the best selection, and best sales people ever. It was a pleasure to buy from Carlos, he was super helpful and friendly. Highly recommend! Thank you Stone Mountain Volkswagon for your overall care, consideration, and customer service! We had an awesome salesman make our experience even more worth our while to drive over 4 hours to get our perfect vehicle, Carlos Miranda! He's the BEST!! I bought my first car here in 2009 and when I returned in 2018 it was the same great service and better prices than other VW dealerships in the Atlanta area. Carlos Miranda was patient and was awesome with his follow up when I needed to go home and sleep on the real. The Tiguan is perfect for my first SUV/Crossover. Stone Mtn VW had a unique one just for me that I know I won’t see on the street. Best Service I’ve had in a long time! I’ve never been to a dealership where they delivered everything they promised! Carlos was AMAZING!! He was quick and efficient and even helped me understand the new technology my new car had to offer! He really took his time to make sure I understood the process and it was soooo fast! That was the best part other than me driving off in my brand new 2019 car. Thanks sooo much Carlos! I really appreciate your service! My third Car In the same dealer. I always find the car which I need at the best price. You always get the best service and you don't feel pressure to take your decision.. Hands Down Best Dealer in Atlanta!!! I've purchased many cars and trucks during my lifetime. Stone Mountain VW is by far the best dealer that I have ever done business with. This is my 4th VW since 2011 and I'm sure there will be many more in the future. They have the best selection, prices and customer service. Carlos Miranda is an outstanding salesperson. Thanks again for the great deal on our 2018 Tiguan! For a long story short Ive been surfing around for an SUV almost a year now. I was trying to get the best deal I could find. I contacted numerous dealership bit for some reason Stonemountain Always seen to pop out. I decided to go to the dealership not knowing whst to expected, where Carlos recieve me. Im very specific buyer and I kbow that sometime kind of imposoble but Carlos was very patient and understanding through out the whole process. At one point i though that i will leave the dealership empty handed since we couldn't agree on price point. But Carlos didnt give up, he was able to give me a price that I couldnt refuse. At the end of the day I left the dealership with my new 2018 Atlas with the spec that I wanted and very happy. Thank you Carlos for making it possible yoh where awesome. If you decide to go to stonemountain vw request Carlos as your sales person he is the best. Excellent experience buying our new 2018 VW Tiguan. Carlos and Tamimi were both very friendly and helpful. Carlos was very knowledgeable and got us our Tiguan at a very affordable price while Tamimi guided us through the paperwork process. Both Carlos and Tamimi made this one of the smoothest and pleasant sales experiences we had so far. They were very patient and answered all my questions! VERY VERY satisfied with this dealership! My dealer, Carlos, was amazing. He answered all my questions and got me all the help I needed. I was very particular in my choice for a car and he found the best fit for me. He waited for me to drive in and stayed after hours to close our deal. I'm very thankful for my new car and this wonderful business. The highlight was Mrs. Angela who is THE SWEETEST receptionist I've ever encountered. She got us refreshments while we waited and chatted us to see where we had driven in from. Kudos to Mrs. Angela and the whole VW team at Stone Mountain Volkswagen! Also, props to Kurt in finance for explaining everything in detail about payments and insurance coverage. Not the “usual “ used car experience. No pressure. Friendly conversation to get to know you and you to know him. The dealership was very clean and the staff very professional. The most pleasant experience I’ve ever had buying a car. Carlos was so helpful making my out of state purchasing experience incredibly convenient and enjoyable. Great customer service with Mohammad as well. I was under a time crunch, and they couldn’t have been more efficient. Thank you! Thinking of buying a car, think of Stone Mountain Volkswagen !!! .. thats what I could say by my experience. The best car dealer out there in GA. Have never ever had such a car buying experience. Have seen many dealers but Stone Mountain Volkswagen is completely a different story. Carlos M and Tamimi M were exceptional in their service. Best sales/finance execs that I have ever dealt with. Great experience and fantastic purchase! Wonderful Experience with Carlos and Chantelle! I had an amazing experience with Carlos and Chantelle. I brought my family of five to the dealership and they assisted me with amazing customers service. I knew exactly what I wanted and they made sure to get me in the car of my dreams. He and Chantelle also partnered together to keep my girls occupied while I was signing all of the paperwork with Kurt. I liked the fact that neither he nor Chantalle wasn't salesy at all but listened to my concerns and made the best offer to fit my budget. Kurt worked hard to offer me the best price. Carlos and Chantelle kept in touch with me and even sent my girls a note a month after my purchase which means they valued my family and business. I am happy with my purchase and look forward to working with both of Carlos and Chantalle in the future. Great service and excellent customer service. They took my negative equity. Carlos Medina is a great guy with a genuine will to help. I'll recommend it! I have had Volkswagen's for the last 15 years and have never had the experience with a sales person as wonderful and kind as Carlos Miranda! He took his time and I never felt any pressure to buy. I had a TDI Passat in the past and loved it. The last year the diesel was made was 2015 so I had to buy a used car. As I was leaving the dealership I noticed a slight problem and called Carlos. He said to bring it right back. I turned around and came back to the dealership. The problem was fixed the next day and I couldn't be happier with the car and with Carlos. I would recommend this dealership and to always ask for Carlos! He is the BEST! I’ve purchased 2 vehicle from Stone Mountain VW, and Carlos made my 3rd car buying experience amazing. I never once felt pressured or obligated to pick a certain vehicle. My wife and I was able to get exactly what we want for the payment we wanted. Thank you Carlos!! Buying a car in never fun...until now! Carlos Miranda was AMAZING! He knew everything about the products. We tend to be very difficult customers with a lot of boxes that we need ticked and Carlos ticked them all. They were able to get us exactly where we needed to be without us having to make concessions. This was our first VW purchase and we've now found a dealer and sales team that we actually will be happy to work with again for future needs. Financing was smooth as silk with Mohammad, couldn't have been any better. Customers for life now! I am very pleased with the services provided. I came in spoke with Carlos about what I was looking for and the price range that I was looking to be in. And he found the perfect car just for me and my daughter. For my third time purchasing a car I must say that my experience here with Carlos was the quirkiest ever. Thank you Carlos your the best. also Mohammad was great as well. We had been to several dealers looking for the perfect car at the best price. We found it here. Carlos was very helpful and professional, he knew he vehicle inside and out and was able to get us a better deal than any of the other dealers we had been to previously. Mohammad in finance has a great attitude and explains everything thoroughly. We absolutely would purchase another car here!! Carlos Miranda is an extremely knowledgeable sales person. He listen to our exact needs and guided us through the deal process without any funny business. He is a true professional, a great asset to the dealership and a fantastic brand ambassador for VW. Hats off to Mohammad in the finance department! A great story teller who gets the job done efficiently. Overall, probably the best car buying experience we have ever had. Carlos will come highly recommended and we look forward to future business! Carlos makes buying a car great again! Carlos and David did a great job. The Golf we were interested in had to come from a different lot. It was there waiting for us when we arrived. The process was painless from start to finish. Very friendly low pressure environment. We have purchased 10 vehicles from them over the years. Looking forward already to number 11. Carlos was very patient and understanding in our choosing of the right car that fit both out budget and needs, and went out of his way to get the best deal he could. He also managed expectations when an unforeseen recall complicated the deliver process right after committing to a purchase and ensured we received the necessary information. Tamimi was equally as accommodating and thorough in the financing process. Overall, happy with our decision to buy the vehicle we did at the dealership! Carlos and Brian were friendly, informative and professional. I felt comfortable that were giving me the best deal possible and that I could trust their opinion. When we got the monthly estimated rate back and it was a bit out of my price range, Brian went out of his way to make sure we got it to the price point I could afford. The attitude and positive energy at this location is far above any dealership I have been in. I will highly recommend this location to anyone I know looking for a vehicle. I could not be happier with my purchase and experience at this location! I drove from Jacksonville to Atlanta to have get an amazing deal from Carlos and Stone Mountain VW. Everything was as promised and was taken care of completely by them. Highly recommended. Awesome place!! Carlos Miranda worked with me and he was great!!! I'm fully bilingual but it is very comfortable to deal with car buying process in your native language (this case Spanish) - so I was very pleased to work with Carlos everything in Spanish. He definitely will take care of you!!! Highly recommended!!! -trust me, for me to leave a review is because it was a SUPER GOOD EXPERIENCE!!! I just bought my second car from Stone Mountain VW and worked with Carlos. He was amazing! He helped me find exactly what I wanted. I couldn’t be happier with my new car and the great customer service from Carlos! Highly recommend this dealership. Most awesome and patient salesperson I’ve ever met ! Carlos & Kurt took the time to explain everything step by step. Would by again ! Love my new car ! Carlos made purchasing a new vehicle easy and stress free. He was straight forward and at no point did I feel like I was being taken advantage of. Service was great and Carlos was amazing! He knew exactly what we needed and saved us a lot of money as a result. I would definitely come back to this dealership in ththe future! Irnes helped me make my car buying process as smooth and painless as possible. They were very friendly and up-front with all information in helping me select my new VW. Five Stars! Definitely will buy again from him soon !! I was in a bad car accident which resulted in my car be totaled and I had been with my rental for some time. It was time for me to purchase my first car with no co-signers. I was nervous and I was working with another salesmen at this office and we got nothing accomplished. I left because we could not come to a good medium for the car I wanted to purchase. I’m sure the other salesmen was rarely new and doing what he could but when I went home and found an even better car for an even lower price I returned and Carlos took very good care of me and my Family. The finance department attempted to sell me the car for another price and Carlos feed of of my energy and came back with all the correct things (advertised price)!On the test drive he should me all the wonderful things my car was capable of doing, The safety features that came with my car and gas mileage , how to program my car so that it fits me! CARLOS WAS AWESOME! Carlos was great! Didn’t feel hassled and he knew exactly what we needed! Quickest and smoothest car purchase ever! I would definitely return to this dealership in the future for future car purchases! Carlos Miranda is a true professional. I came in and he made me feel comfortable about purchasing a new car. He didn’t pressure me or try to sell me something beyond what I could afford. He let me take the lead and showed me only what I was interested in purchasing. I would recommend this Volkswagen dealership to anyone who wants thorough customer service. I was there an hour after closing time and I still was not being rushed. It was a great experience and I bought my car on my very first visit!! 5 star rating for Stone Mountain Volswagen. Easy, no nonsense purchase with zero haggling, and an experienced, knowledgeable salesman, Carlos Miranda. Found the 2018 Atlas on line, and Carlos was able to deliver the vehicle, as promised. Easy transaction. This was the second vehicle I had purchased through Stone Mountain Volkswagen, and I will continue to do business with them in the future. Gave the rating that I gave do to the fact that Carlos very knowledgeable and informative about the Atlas. Made my wife and I feel very comfortable from the moment we shook hands. Carlos made this the most pleasurable experience for what I thought was going to be very stressful. I would buy another vehicle from Carlos and Stone Mountain VW when the time comes. Mr. Miranda Made my car buying experience a breeze, he was very strait forward about the car and didn’t play games with the pricing and was both knowledgeable and incredibly polite. Also the sales manager Mr Tamimi was both funny and informative. All around I would say this was the easiest and least stressful car buyin experience I’ve ever had and as long as I am in Atlanta i will be buying my cars at Stone Mountain VW. Excellent experience for an out of state buyer. Carlos, Brian and whole team were very professional. We didn’t feel any pressure and after all we got the best deal in town. My new car is second addition from this dealership. Thank you guys!!! I recently purchased a new VW Jetta Wolfsburg from Stone Mountain VW. Carlos Miranda was my salesman. I really enjoyed working with Carlos. Carlos made the car buying process easy and comfortable. No pressure sales tactics were used. He is very knowledgable about VW. Carlos answered all my questions I had about the Jetta and the finance aspect of the deal. This was an enjoyable experience! I highly recommend you seek out Carlos to sell you a Volkswagen. Thanks Carlos! Carlos made my experience terrific! I hate car shopping. It's overwhelming, there's an abundant amount of dealers in the metro Atlanta area, and I wasn't picky after driving the same car for nearly 10 years. Thankfully, Stone Mountain Volkswagen was available to turn all of that around. I went out there simply because it was one of the most affordable dealerships (they do VOLUME). Carlos was my sales assistant and he was AWESOME. Came in late on a Thursday night at 7pm, drove off at 10:30pm that same night with a new car. I never felt pressured, intimidated, or worried. Every individual I interacted with was respectful and appreciative of my business. A special shout out to Kurt for not rushing me through signing forms at 10pm when his wife was waiting for him. Thank you, Carlos & Stone Mountain Volkswagen!! I'm happy in my new Tiguan! We have bought 6 cars from Stone Mountain Volkswagen and continue to go back because of the excellent way this dealership treats us from sales to service. This was our first experience with Carlos and he was a Rock Star! He was mindful of our time and didn't play any games. He found us exactly the car we were looking for and we purchased for a fair price. Even though the dealership was packed, the team of Carlos, Rob, Kurt and Brian were mindful of my time and got me in and out. I can't say enough good things about them. Carlos and the rest of the team was able to get me into a great pre-owned vehicle within just a few hours. Although I'm new tonthenarea and have a full-time job, I have a low credit score and not the best history with making payments on time, yet I was able to drive away with a 2015 Jetta the same day I went in to talk to them. I live 1177 miles from Stone Mountain VW , saw that they had the vehicle that I was looking for on a nationwide search. I called Stone Mountain VW and Carlos Miranda was the salesman that took my call. Carlos was very professional, answered all questions & providing pictures and video of the SUV for my review. I also worked with Tamimi (Finance Department) who was excellent, he made the financing and paperwork very easy and quick in getting this purchase completed. I would recommend Stone Mountain VW and Carlos & Tamimi for a pleasant purchase experience! Sincerely, Kelly S. Sioux Falls, SD. This is the 3rd vehicle that we have purchased from Stone Mountain VW. Initially met with Daniel Copeland but Carlos helped us complete the deal while Daniel was assisting another customer. As I always we got a great deal and fantastic customer service at Stone Mountain VW. Would definitely continue to do business with them in the future. Carlos and Irnes were super friends and knowledgeable. Mohammad in the finance office was great as well. My experience with VW Stone Mountain couldn't have been better. What a joy to purchase a car with no hassles! Carlos was super in helping us down to every little detail! Love our new Tiguan! Easy for out of state buyers!! We were searching for a new vehicle for sometime. We found Stone Mountain VW on Auto Trader. This dealership had the best prices by far. After speaking with Carlos Miranda our salesman, we knew it would be a simple process. Carlos and the staff there at the dealership made trading a vehicle and purchasing a new one from out of state painless! Being from out state so we were some what reluctant about doing the process from 400 miles away. Carlos was terrific and made purchasing a vehicle from out of state very easy. He was always available to answer questions. Thank you! I went to Stone Mountain to purchase my first. As everyone knows, this can be a stressful process. They were very patient, helpful and not pushing me into a fast decision. I am grateful for their help! Carlos Miranda was fantastic to work with! We contacted Stone Mountain VW after searching for the Passat we wanted on their super helpful website. We reached Carlos Miranda who treated us very professionally and like a member of the family from the first minute. We felt no pressure in working with Carlos because we could tell he was extremely knowledgeable and had our best interest at heart. During the test drive he answered every question we had about the vehicle and then once we decided on the car we wanted to buy, he was very prompt with getting us through the application process. Kurt then got us in and out of the finance office in no time flat and also made us feel like we had chosen the best possible team to work with on our VW purchase. Thank you, Stone Mountain VW!! I had a very great experience at the Stone Mountain Volkswagen dealership. Sung is an expert sales man! He also has a very sincere spin as he gets you ready to get a car. He gives you options that suits your need. He has an excellent attitude and very confident and helpful. I will recommend him to anyone looking for car at Volkswagen dealership Stone Mountain. Sung Hong is the one you really want to talk to! Thanks a lot! They where great to work with, stress free. Was a great experience. First time buying, thru where so helpful, nice and took great care of me. I would so recommend them to my friends.